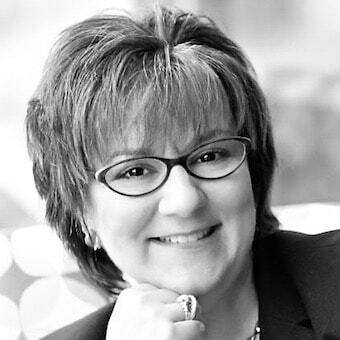 Amy is an organizational and leadership consultant, coach, speaker, and writer. Before launching ConnextionPoint, Amy spent seventeen years working in the information technology and the management consulting industry selling complex project services and providing delivery oversight. Amy worked with CEOs to front line managers in Fortune 500 corporations. From this work, Amy authored in depth case studies outlining the behind the scenes leadership and engagement challenges that blocked or empowered change. Amy is originally from Youngstown, Ohio and has lived in Atlanta for over twenty years. She lives in Dunwoody with her husband, Chad, and two old cats that rule the house! ConnextionPoint Services is a leadership and employee engagement advisory firm offering specific focus for leaders and teams to build extraordinary engagement and cultural shifts through leadership growth and development. Amy is the founder and practice lead of the firm with experience assisting rapid growth companies in leadership and engagement transformations in sales and corporate functions. To find out more, connect on Twitter, LinkedIn, Facebook and Webcast. 1. Tell us a little bit about ConnextionPoint and what exactly your role entails. Every day I get up and do what I love to do. I may be working with an individual leader as an executive coach or with a team to help them build alignment and deeper collaboration. Most of my work is with Fortune 500 companies and emerging high growth firms. The undercurrent of my work is all about helping leaders Lead from their Center in the face of incredible disruption. We cannot be held hostage by our circumstances; our leadership depends on our ability to set intention. I build a coaching platform for leaders and teams to help them harness their deepest place of healthy intention – their Center. In this journey, Roam has been incredibly instrumental in my work with clients as both individuals and teams have the opportunity to experience powerful reflective exercises which are laid out across the giant whitewalls of Roam’s meeting rooms when they walk in. Many of my clients have experienced transformational paradigm shifts, and the servant leadership environment Roam provides to make that happen is part of the magic. I am grateful to have Roam as a place to help my client base explore greater possibilities. I am happy to share with any Roam member some of the creative, facilitative work that can unfold uniquely at Roam. 2. When it comes to the daily tasks of your job, what do you enjoy most? First what I do never feels like a job – it’s a calling! And I’m at it probably seven days a week. My time is split between work with high potential leaders – usually about a year long journey with each of them, collaborating with leadership program talent designers, working with leadership teams, writing, and speaking. 3. We hear you’re in the middle of writing a book. What can we expect your book to be about? Yes! It has been an amazing journey so far … the book, Leading from Your Center! It’s more than half way completed. It is about my seven year journey helping leaders in the thick of intense corporate environments face the volatility of disruption and yet transform their leadership and greatly impact their organizational influence by answering three questions: What is your Center? What are you in the Center of? How do you cultivate the most empowering dialogue now? The stories my clients have given me permission to share are amazing and I feel deeply privileged to be a part of this work. Some of those clients are also current Roam members! 4. Why would you encourage other people to join the invested community at Roam? Roam provides two things a solopreneur needs critically – a professional environment to create meaningful dialogue about your unique value and a supportive community to be there for you. One of the most daunting challenges I faced launching ConnextionPoint in 2008 was the feeling of being “out there… completely on my own.” I left a twenty year corporate career to set up my practice and in the first year or two the learnings were steep. When I came over to Roam I met other people just like me on the same journey, which was not only comforting but enriching – I know I’ve made some life-long friends. Finally, I met folks who were strong business partners that helped me build out my business model in a variety of ways. I simply wouldn’t have had this avenue of meeting these folks without Roam. 5. What is one thing you’ve done in your life that you would recommend everyone to do? Live your life on the bigger side of yourself. Everyone has it – I challenge you to explore exactly what it is. You have more options than you realize – they don’t come from your circumstances – they come from your Center – the most extraordinary place of possibility is right inside of you.